5060 Parkcenter Avenue in Dublin just North of Tuttle/270 between Bradenton & Frantz. 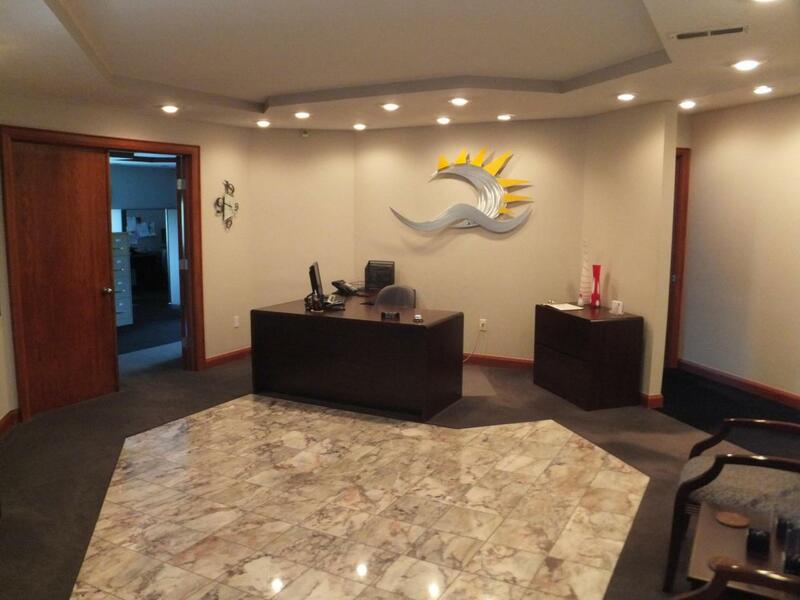 Extremely nice free standing 10,920 SF Office on 1 acre with parking for 45 cars. Excellently maintained. Former owners suite upstairs totals 2,541 SF and is turnkey - ideal for owner user - riced at $13 PSF MG (tenant janitorial & electric). 1,024 SF on off foyer available at $12 PSF MG. Property is also available for sale with a price of $1,300,000. Outstanding location off Bradenton at I - 270 and Tuttle Crossing. Close to all amenities - Hotel, Motels, Tuttle Mall, Retail and numerous Restaurants. Absolutely must be seen to be appreciated. Fantastic multi-tenant Office opportunity in Dublin. Just offered for sale!! Attractive and competitive lease rates!